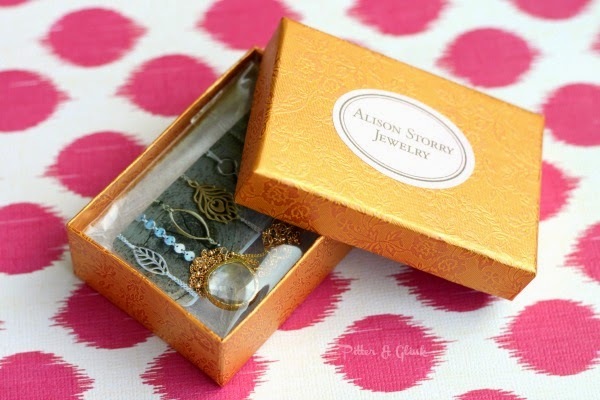 When Alison Storry Jewelry contacted me about the review and giveaway, I was given the opportunity to choose the piece of jewelry I'd like to review. I chose the beautiful Bezel Set Crystal Necklace. When the package from Alison came in the mail, I was so excited. I love getting mail, but I especially love getting mail with pretty packaging inside. When I opened the envelope, this pretty little box was inside. 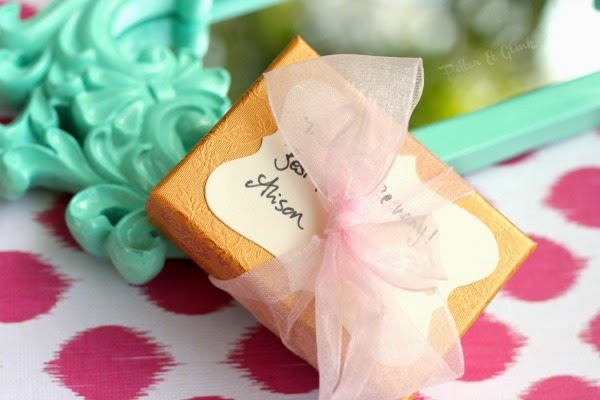 The pretty little box paled in comparison to the beautiful necklace inside! One of the things I love about the necklace is that I was able to choose the length. I chose a 17" chain length--the length perfect for what I consider "delicate" necklaces. In my mind, a delicate necklace is one that's not gaudy; it's dainty and cute. This necklace definitely fits the bill. It's the perfect length to wear with a collared shirt, a summer dress, or even a tank top. I love the faceted crystal briolette hanging from the middle, and I love the chain. Alison could have just attached a plain chain to the necklace, but the fact that she added the 22k gold filled chain with the the tiny little gold beads on it truly shows her eye for design. (It's no wonder that Alison is so skilled because she's been making jewelry for seventeen years!) She has so many beautiful pieces in her shop. 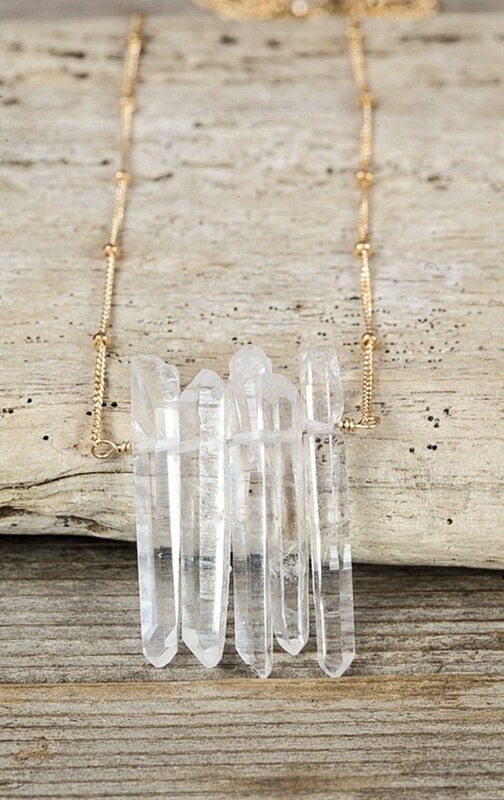 The Raw Crystal Quartz Necklace is another one of my favorites. 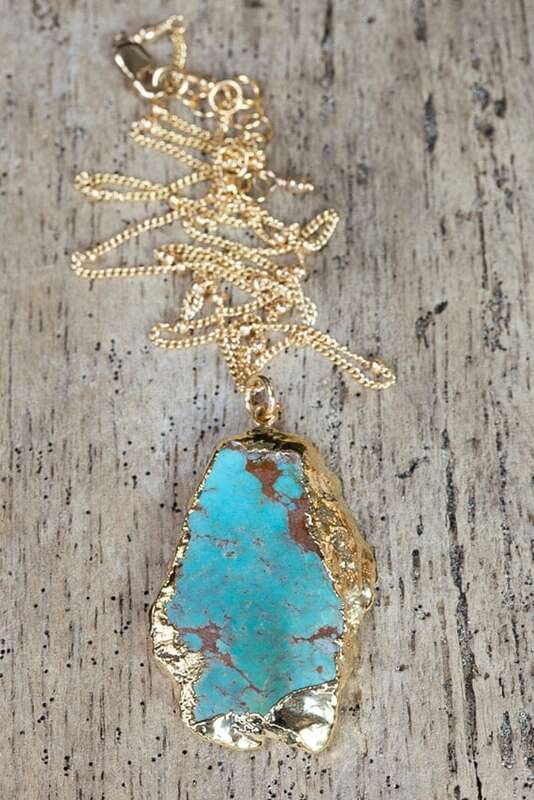 As well as the Gold Rimmed Turquoise Slice Necklace. 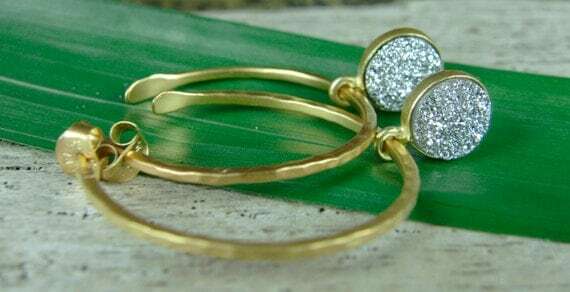 If you're not a necklace kind of gal, you can find earrings like these Druzy Hoop Earrings in Alison's shop. 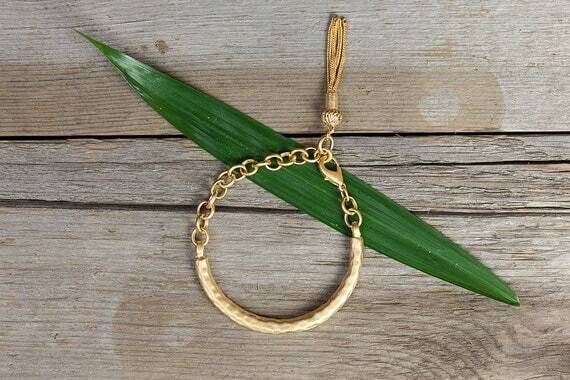 Or maybe you're more into bracelets like this Gold Cuff Tassel Charm Bracelet. I'm pretty sure that no matter your jewelry taste, you can find something you like in Alison's shop. 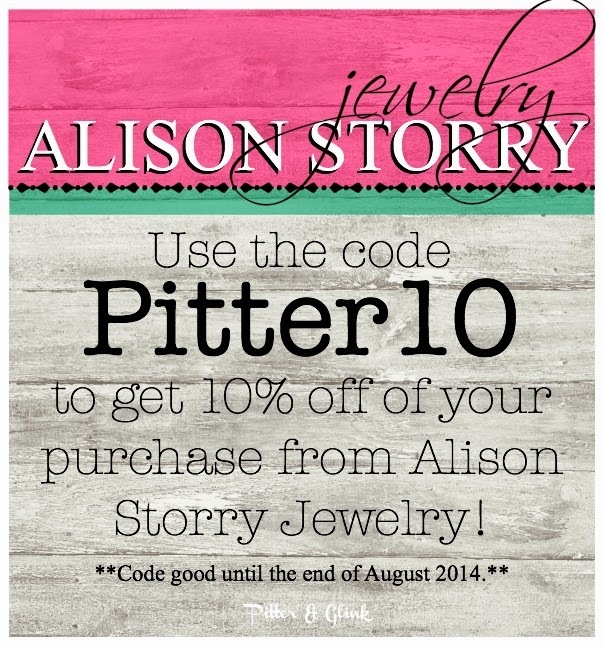 Once you find the perfect piece (or pieces) for you, you can use the code PITTER10 to get 10% off of a purchase. The code is good until the end of August. And now for the giveaway!!!! 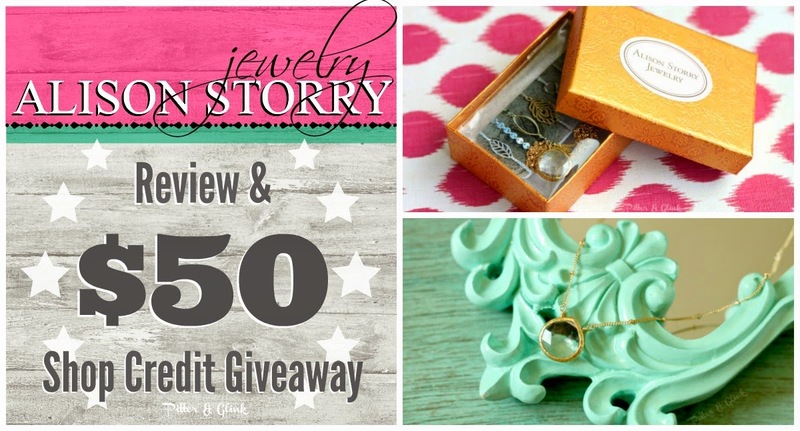 One lucky reader will win a $50 shop credit to Alison Storry Jewelry! The giveaway is open worldwide and ends on July 4, 2014. To enter, simply use Rafflecoptor below. I love the four leaf clover necklace! 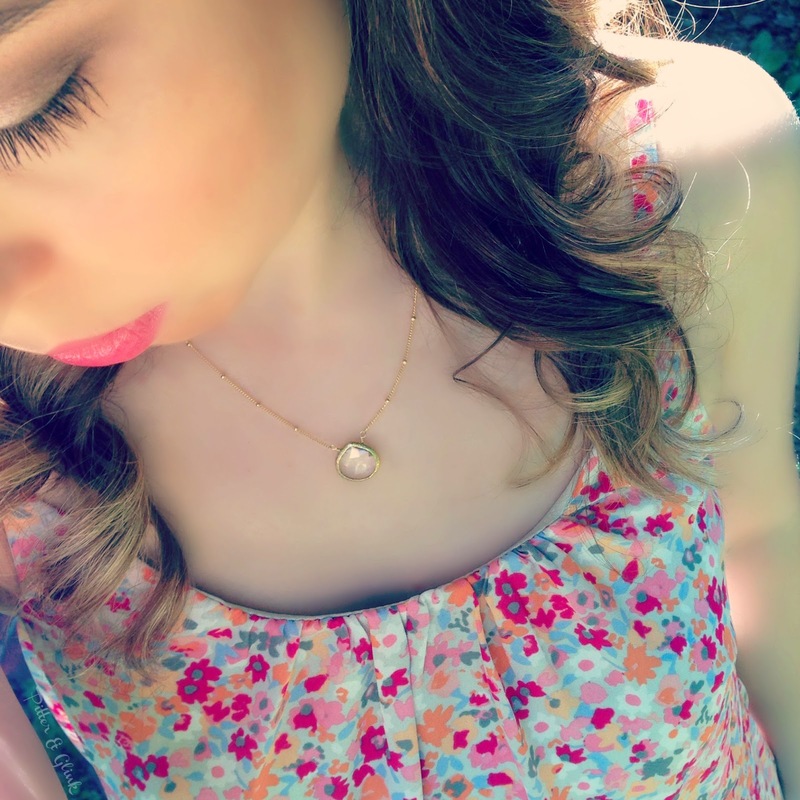 Seriously gorgeous photo of you wearing the necklace! I love the necklace you chose! Wow! I love her shop! Wow, such gorgeous and unique pieces of jewelry! I love the large faceted whiskey quartz gemstone necklace. 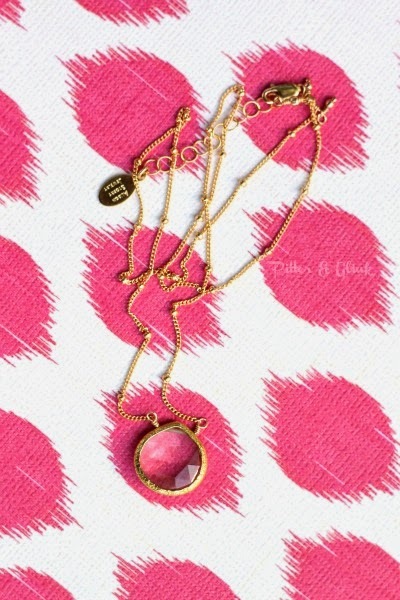 I love the one you chose, as well - perfect dainty necklace for everyday wear. Great giveaway! I'm pretty sure I would wear just about anything in that shop. Aside from the faves you chose, I'm lusting over the Delicate Bezel Set Lapis Gemstone Bracelet. Eep! So cute! I love the Hematite Stretch Bracelet! The Bezel Set Crystal Necklace is gorgeous!! Thanks for the giveaway! Oooooh! Gorgeous! Love the silver chalcedony necklace and earrings! Everything in her shop is so pretty! I love the Silver Initial necklace! I love everything! What a great giveaway!! I like the BEZEL SET QUARTZ necklace on silver beaded chain. Okay I love love love Chrysoprase Necklace / Green Chrysoprase Necklace / Turquoise Necklace. I just love it the hang of it would be perfect for me in any of my dresses! I love all the bezel set necklaces! I love the 4 Leak Clover Necklace-so pretty! My favorite item is "https://www.etsy.com/listing/104289574/delicate-sterling-silver-charm-necklace?ref=listing-1", I love the color of the Chalcedony and the necklace looks delicate yet still very eye-catching. Unique. I like it. I loved them all but most of all https://www.etsy.com/listing/106298269/delicate-green-bezel-set-chalcedony?ref=listing-6. Thank you!! I love the Labradorite Pendant Necklace and the Turquoise Bar Necklace, just from the first few pages! Entered under Alona Y. She has so many beautiful things in her shop - it's hard to choose. 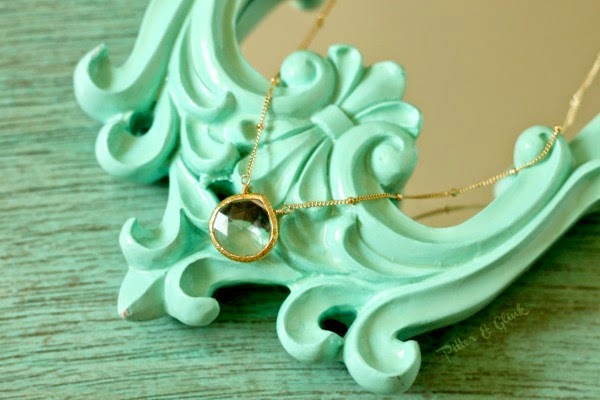 I really adore the bezel set turquoise necklace. I love all things turquoise and I think that's my favorite. Great giveaway! Thanks for sharing! I like the tassel charm gold cuff bracelet! Thanks for the giveaway! Hello! Gorgeous shop! One of my favorite items is her Long Gold Earrings with Sapphires. So pretty. Thank-you for the chance! I love TITANIUM SILVER DRUZY earrings!! I really like the Turquoise bar necklace! Thanks for the giveaway! I really love the gold cuff bracelet! That labradorite pendant! That single Tahitian Pearl! My favorite is the Raw Crystal Quartz Necklace! My favorite is the Gold Rimmed Turquoise Slice Necklace. The Floating Heart Charm Silver Necklace is adorable. Thanks for the giveaway! I think the silver initial necklace is very pretty. They are all beautiful! But I really love this BEZEL SET LABRADORITE necklace / gold rimmed labradorite necklace. It's so gorgeous and the color of the pendant is so awesome! love love love the gold arowhead necklace!! Chrysoprase Bracelet / bohemian jewelry / stack bracelet is one of my favorites! !